The journey, dark and winding, is covered with a thick blanket of sorrow. Walking the path, hoping to find where the fog begins to lift. After a long walk that is mired with hills and valleys, you crest a hill that begins to shed some light. The winds of change shift the clouds away and an ocean breeze begins to blow. Gently, at first, things become clearer, the light begins to shine. The tribe gathers in a circle, connected by the light. 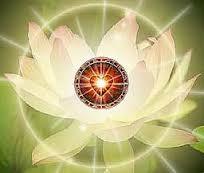 The healer emerges from the center, places hand over heart, covering the cavernous space within. Slowly, the space within begins to close, gently pulling in. The shards of heart softening, sealing together one piece at a time. Heartbeats, rhythmically pulsing, sending the life blood to the injured parts, slowly healing the spaces of the body and soul that were thought to be irreparable. One day at a time, the pieces coming together, each putting together the being that was previously shattered, one day at a time, making it whole.